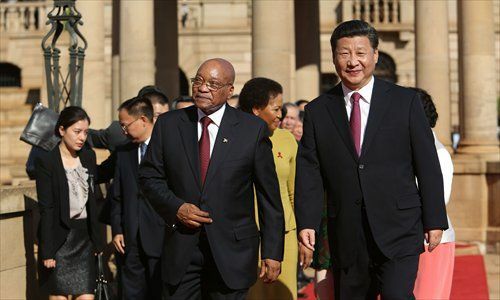 Brief：Chinese President Xi Jinping will Friday address a summit of 40 African leaders in Johannesburg, with a host of major deals set to underline China's commitment to the continent despite a sharp fall in investment. 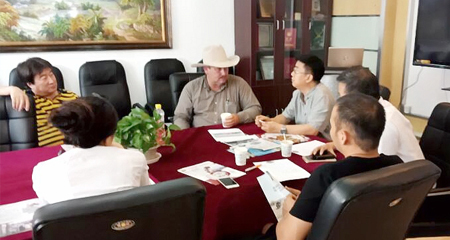 massive investment despite Chinas economic slowdown. China's economic growth has recently taken a dip, triggering a global commodities slump and forcing Beijing to slash investment in Africa by more than 40 percent in the first six months of this year. At the Forum on China-Africa Cooperation (FOCAC), Xi will "announce a series of new measures... to support Africa's development," said Foreign Minister Wang Yi. "He will make clear China's strong determination and sincere intention to stay committed." South Africa's Foreign Minister Nhlanhla Nene, whose country secured $6.5 billion worth of deals with China on the eve of the gathering, said that the Asian giant's current outlook was an opportunity for Africa. "As China's economy picks up, our economies, in working with China, will also have the advantage of being in an environment of rebuilding and re-balancing," he told AFP. The two-day FOCAC meeting that opens on Friday will be the second time China has brought together African leaders since the forum was launched in Beijing in 2000. Since then, China's trade with Africa has overtaken that of the traditional partners of Europe and the United States. Despite its economic woes back home, China is still expected to flex its financing and investment prowess. But African countries say they are not arriving at the summit with a begging bowl. "This is not an aid conference, it's a partnership conference. So there is not an expectation that we in Africa are expecting handouts," said Ghulam Hoosein Asmal, a senior official in South Africa's foreign affairs ministry. While the final guest list has yet to be confirmed, leaders from some of the continent's most powerful nations such as Muhammadu Buhari of Nigeria are among those attending. Officials say at least 41 heads of states and government are expected at the meeting being hosted in Sandton, the upmarket financial district of Johannesburg. Ahead of FOCAC, China emphasised it had delivered more than $117 million in aid to affected areas during the Ebola crisis in West Africa, and also sent hundreds of medical workers to help. "There is a sense that African leaders seek economic empowerment, not simply reliance, from their relationship with China," said Lyle Morris, China analyst at the RAND Corporation in California. Sudanese leader Omar al-Bashir, who is wanted by the International Criminal Court (ICC) on charges of genocide, war crimes, and crimes against humanity, is not expected to travel to Johannesburg.